When you purchase a new vehicle, your headlights are at their peak efficiency. The bulb blasts light that reflects toward the surrounding cone-like reflector which spits the light forward. The light then travels through the lens which also serves to magnify the light. Your vision as you move through town during the night is remarkably clear. However, over time, the headlight begins to dull and yellow. The fault that causes your headlights to appear to fade happens over time, so you don’t notice the effect as you become accustomed to the dimming brightness. The dulling of your headlights is not caused by a weakening bulb, nor is it produced by a dirty reflector inside the headlight housing. The dulling of your headlights is caused by the destruction of the outer layers of your headlight lens, an effect of ultraviolet light. 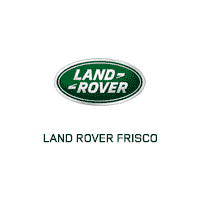 Our maintenance personnel at Land Rover Frisco are trained to repair foggy headlights. 0 comment(s) so far on WHAT CAUSES HEADLIGHTS TO YELLOW?